Artificial Intelligence, the technology Hollywood predicts might be the death of us all — has been around for ages. From fictional Skynet to Apple’s Siri, we’ve all been gawping at AI’s unstoppable rise. Recently, although the hype around AI has continued to build, it hasn’t been matched by real-world rollouts. The same happened after the initial buzz caused by the Internet of Things (IoT), the yawns of once excited investors grew ever more audible as pundits across the web started considering that the fad was coming to an end. However, this couldn’t be more wrong. Sure, consumer IoT may have slowed down a bit — how many people really need ‘smart’ vacuum cleaners anyway? — but, in factories all over the world, Industrial IoT (IIoT) is booming. Whereas consumer IoT focuses on connecting your cell phone to a coffee maker, IIoT connects industrial equipment in factories, or monitors vehicle fleets, and so on. According to a report from the bean counters at accountancy firm Pricewaterhouse Cooper (PwC), business leaders see AI and the IoT as phenomena worth investing in. Research from Gartner shows that the IoT is set to explode at an astonishing rate, globally, and predicts that one million IoT devices will be purchased and installed every hour by 2021. More importantly, IIoT will be blazing the trail — not its consumer predecessor. Ok, so many consumers in the western world have a few IoT devices kicking about — big deal. The reality is that the majority of factories are now connected through the IoT in one way or another. This includes sensors to implement predictive maintenance techniques that keep machines running, or smart wearables for human overseers — as is the case of Airbus in France — to help them oversee production. The number crunchers at PwC reckon that consumer-focused IoT — think smart houses, smart cars, and other stuff — only concerns itself, in an insular fashion, with the impact of consumer products. The size and scale of IIoT will dwarf the consumer market by magnitudes. They are not comparable. Sure, there will be a few billion consumer IoT devices, the aforementioned usual suspects, but the global growth curve for IIoT predicts 100 billion connected devices as the technology pervades the industrial sector. IIoT will become the larger slice of pie, eclipsing consumer IoT in use and numbers. The benefits of these investments will flow on to consumers as factories and fleets become more cost efficient, lowering prices for everyone. IIoT is also having dramatic repercussions in the world of blockchain, the distributed digital ledger that can manage, pretty much, any type of digital transaction. In reality, this blossoming partnership is almost symbiotic. A report in 2015 warned that traditional techniques of managing identities and cracking data held in big silo would not provide the scale that sectors like IoT security would need. That’s where blockchain comes in. The low-friction value exchanges that blockchain is capable of will be the ignition switch to AI’s ability to analyze massive amounts of data, incredibly quickly. This will solve the major challenge of interpreting and using the data produced by IIoT devices and can help boost security of applications. According to Ivy Data Science, State Street reports that 64 percent of wealth and asset managers polled expected their firms to adopt blockchain in the next five years; another 49 percent of firms said they expect to employ AI. Equally exciting news, with revolutionary potential, declared that IBM Watson plans to merge blockchain with AI via the Watson IoT group. Using blockchain these AI solutions are implemented autonomously, while risk management and self-diagnosis are among the other use cases being explored. So what’s the big deal? Well, essentially, while blockchain and the IIoT are not blood brothers, it’s the industry’s insatiable demand for efficiency in the IIoT that is driving blockchain development. Apple is not driving this, neither is Google, or Microsoft. Industrial companies with data to crack are single handedly spearheading new breakthroughs for both IoT and AI, which will — naturally — reverberate within consumer sectors. As we all know, maintenance done at the right time reduces costs. After all, fix something too late and it’s broken again, quicker; fix something too early and the costs of maintenance were unnecessary. For example, regular preventative maintenance on a 10 year-old air compressor worth $32,900 can extend the machine’s life for up to four years, resulting in a total saving of up to $6,359. But that’s not the end of the story. With targeted, cognitive predictive maintenance — based on data reported, then analyzed, by machines through the IIoT — these savings can be increased. The more thinking machines analyzing more data, the more effective predictive analysis can be. This allows engineers to make improved bets, with better odds, about which machine parts will need fixing or replacing, and when. Unlike humans, machines can monitor huge quantities of sensors in parallel, and rather than sifting through data silos, are able to compare and assess data in real-time. With the additional benefit of looking at months — perhaps years — worth of data, machines can construct thousands of effective data models to deliver the optimal result. Machines can effectively segment data, compare and contrast current real-world output to the historical records and make far more accurate predictions as a result. 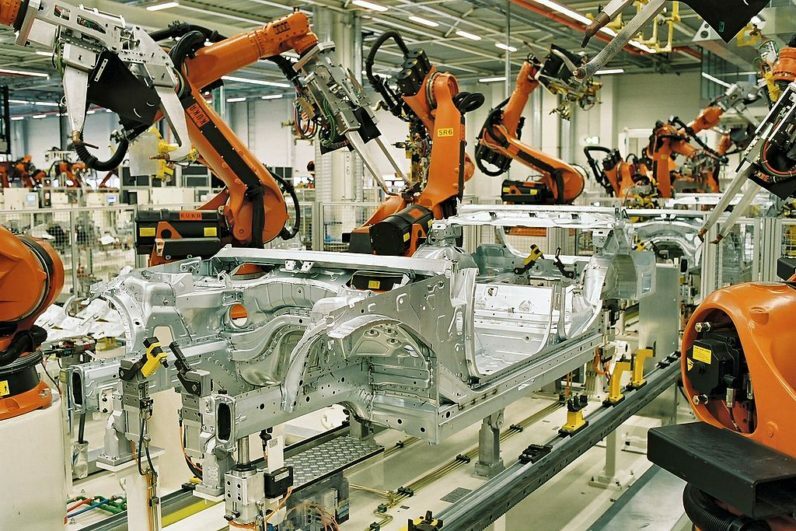 Industrial IoT uses machine learning to improve efficiency and lower costs in factories and other industrial environments. Alongside spearheading other breakthroughs, IIoT is the real story of the internet of things — don’t let anybody tell you otherwise.